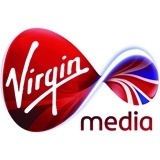 It is now clear that the major systems crash that Virgin Media suffered created a “national” blackout of services for many of the cable company’s five million customers. The crash occurred at 5pm on Tuesday evening and full service was not restored until around 8pm. Virgin Media confirmed the problem saying they had suffered a “routing issue”. They added that some customers did not experience any problems and that the problem for most sufferers was intermittent. The fault affected business as well as private users, and the complaints were many. Last November, Virgin Media was confirmed as having the biggest number of customers dissatisfied with its landline, broadband and pay-TV customer service. This collapse created plenty of Twitter activity.